If you live in the brown area or into the areas with the higher numerical values, you need to be prepared for the possibility of a tornado warning being issued. Advice on how to prepare is below, please scroll down. 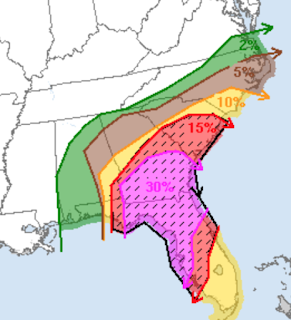 The high tornado risk now extends south to Tampa. The hatched area is where violent tornadoes are forecast. The tornadoes may continue well after dark.